Simply twist the end of the barrel and you're ready to go. Set your imagination spinning with these Twistable Pencils! A pencil that requires no sharpening when the tips get worn down! Simply twist the end of the barrel and you're ready to go. 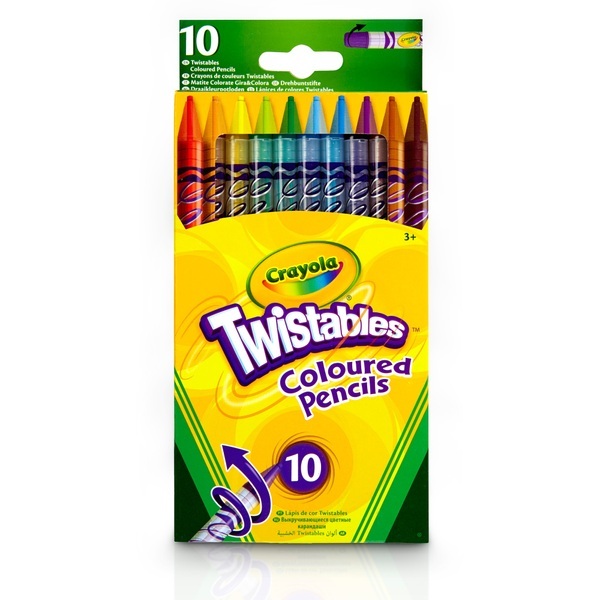 In 10 vibrant colours, they're sure to set your imagination spinning.